It just looks like it was not thought out very well. on a side note.. who actually learned to control their ABS?? LOL! You made it obey to sit, pee, and jump...? I think he was referring to braking without getting it to kick in on snowy/icy roads. On a side note, since I am pretty much internet-illiterate, does anybody have a link to a how-to on how to embed pics in a post? I have traditionally used the attachment feature in the post creation screen but it wasn't working for me lately. 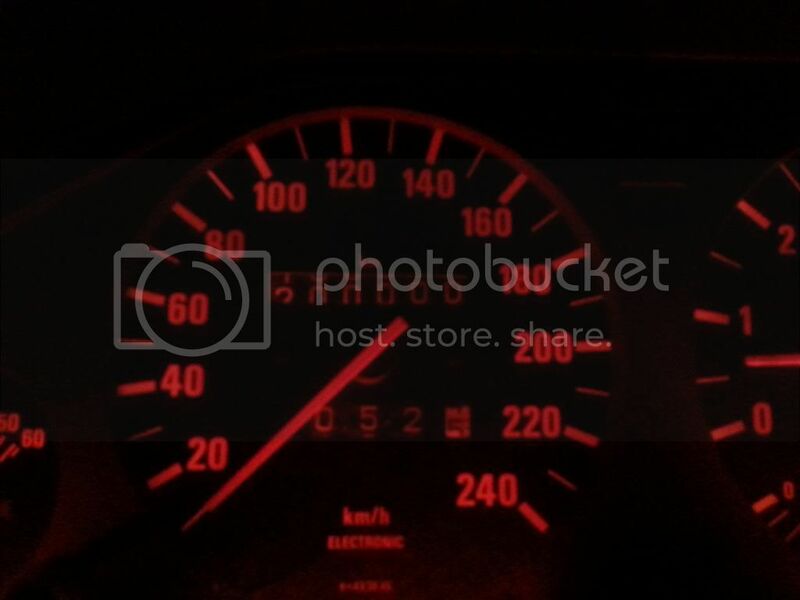 There's some way I can upload pics to photobucket or something like that and just drop them into my posts? Really though... it's a bit of a subjective topic. Mostly to do with what tires you have, conditions, etc etc. IMO, you cannot beat ABS (even though it's not that advanced of a system on our E30s) so why try to trick the beast? It's there to help. Yes I went a "little" overkill with the bolts using 6 m6's per plate lol. The only modification I had to make outside of this was notch the plastic grills in the front and the headlight brackets a tiny bit. 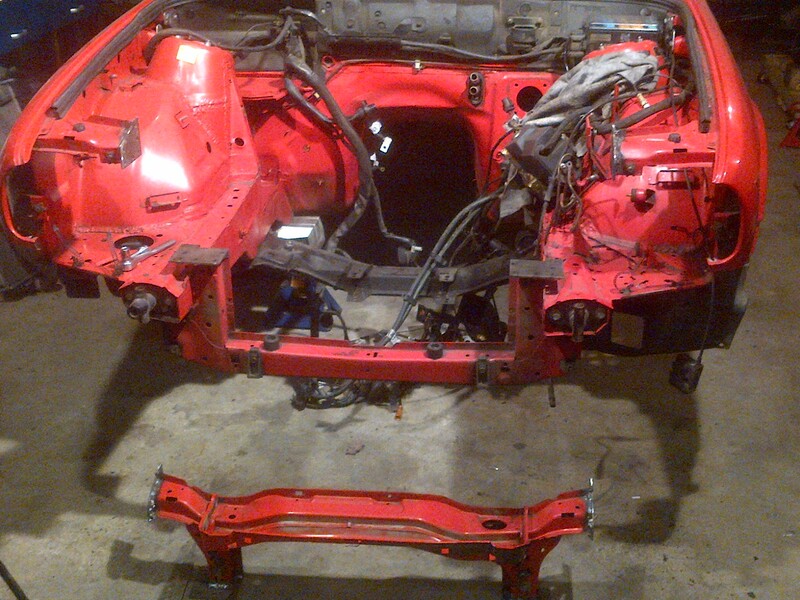 It all goes back together and looks completely stock from the outside. 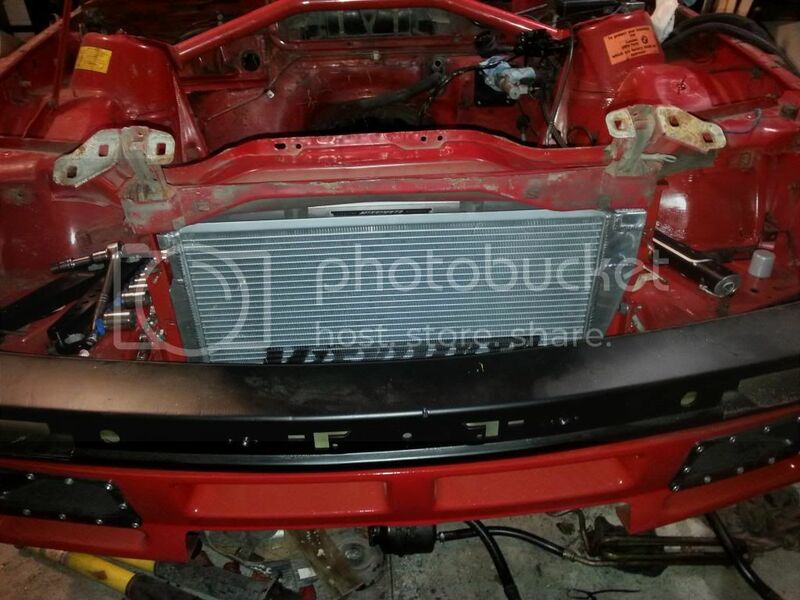 This will work for stock motor setups. Too bad I now need to cut it apart and remake the center section out of tubing and be able to tilt my rad by about 20deg for my project, ah well. Here is my rad support. Made it so that I could mount my x-line 3-core rad far enough forward to still fit a puller fan and shroud in front of my motor. 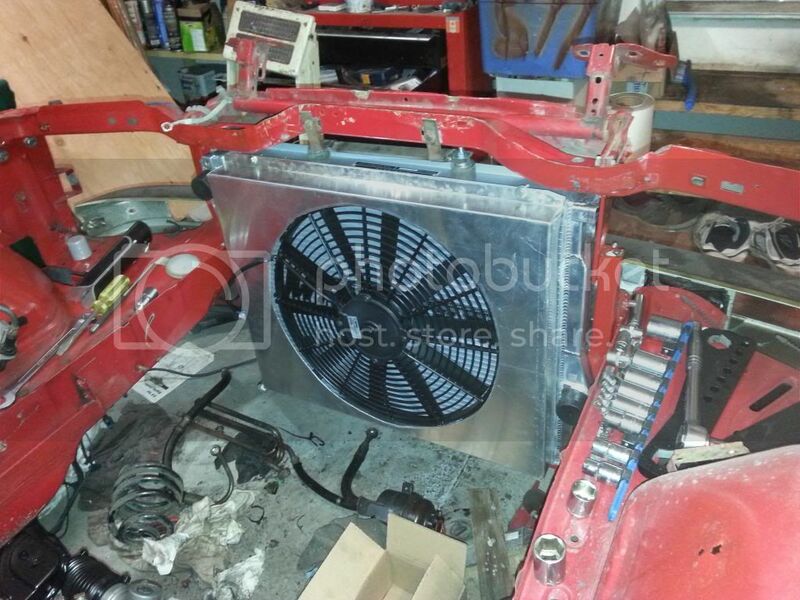 Left room for a future intercooler install, here you can see my homemade aluminum fan shroud. The fan is a 2" thick SPAL so it should keep things nice and cool. Here you can see where the rad and fan shroud sit. I think I have gained clearance vs the stock rad in the stock position. This shows where how the rad fits within the support. 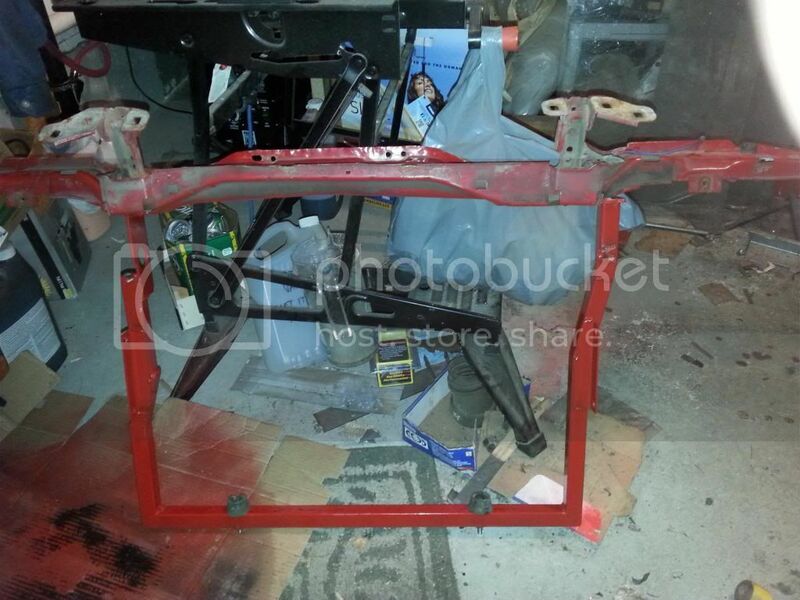 It was very difficult fitting it between the frame rails, the support itself is 1x1" steel tubing, mitre cut etc. Here is my rear brake setup. 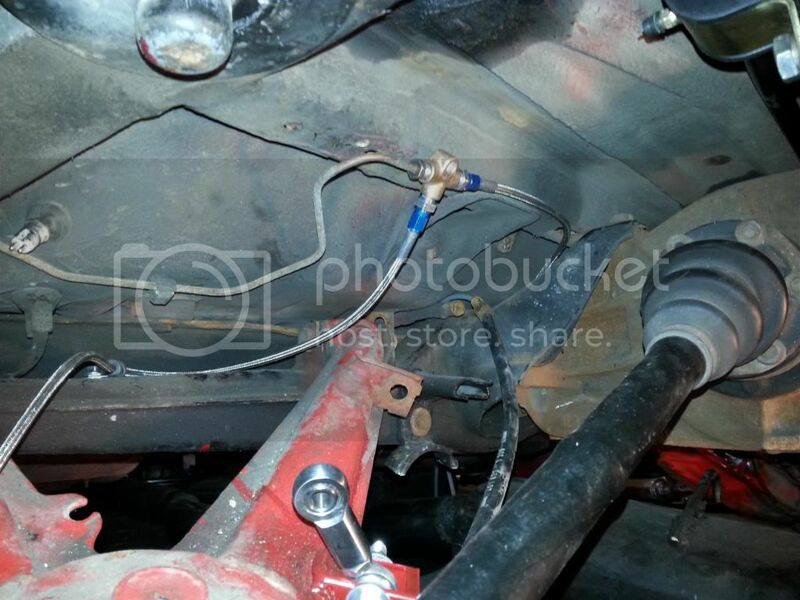 The stock tee has been relocated to an accessible location, and braided stainless lines go from there to each caliper. You can see the poly diff bushing I machined out, and you can kinda see my rear sway bar setup. 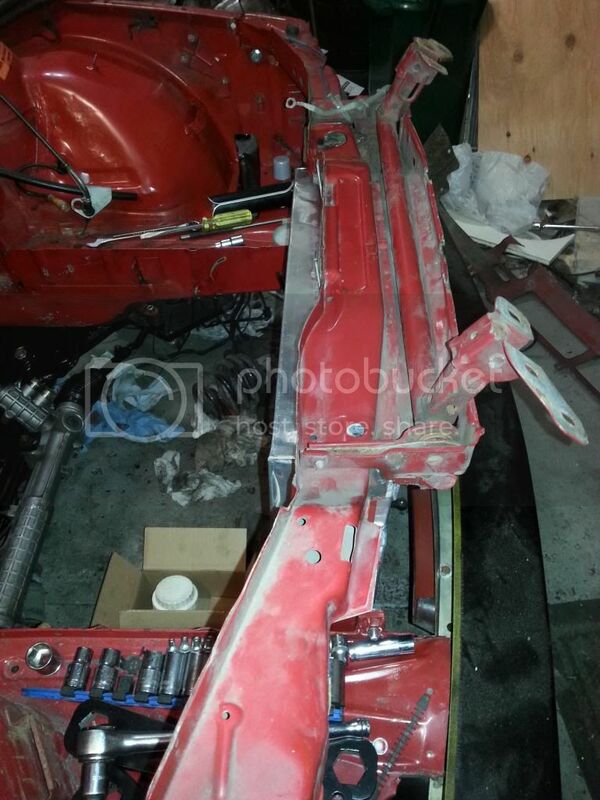 Once I finish fabrication of the sway bars I will post a more detailed look at em. Also, my vert celebrated an anniversary lately. That puts me over 600k for both my e30's combined. Got my euro grilles popped in today after a last coat of paint!